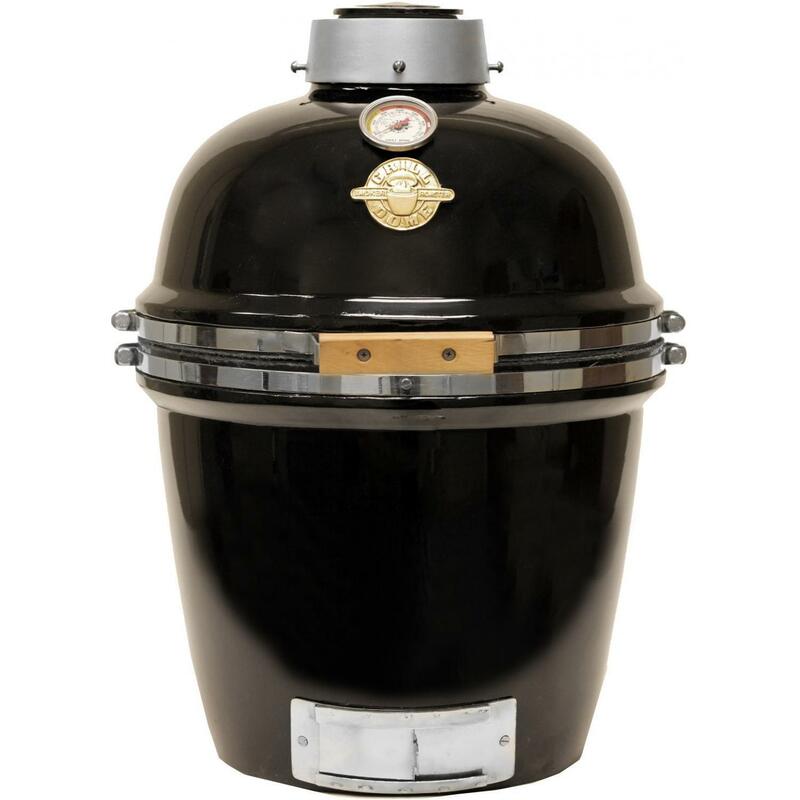 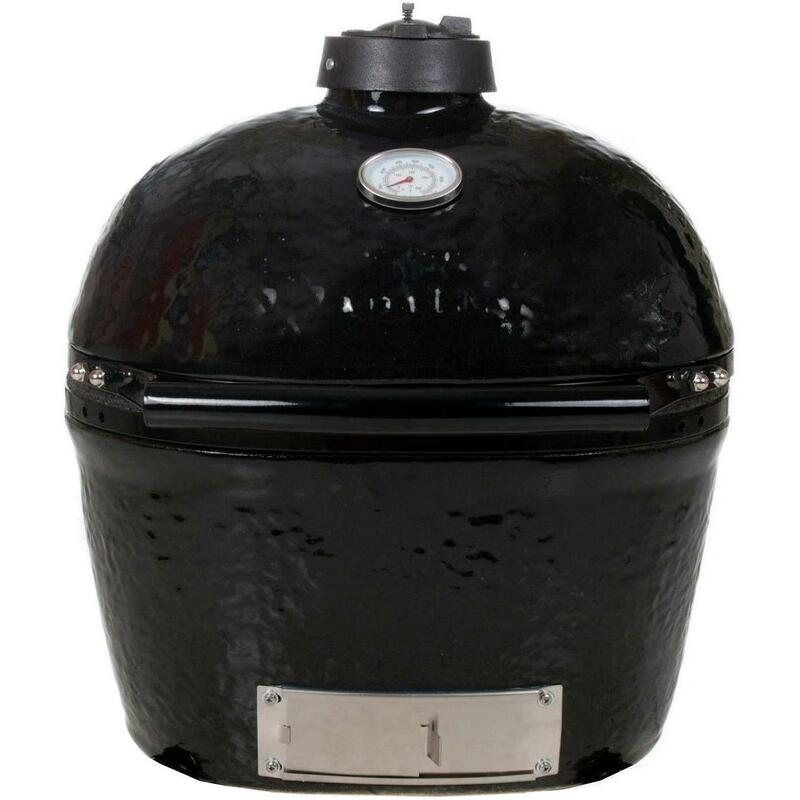 Product Description: Cal Flame 21-Inch Ceramic Kamado Charcoal Meat Smoker Grill On Cradle With Side Shelves - BBQ15K21. 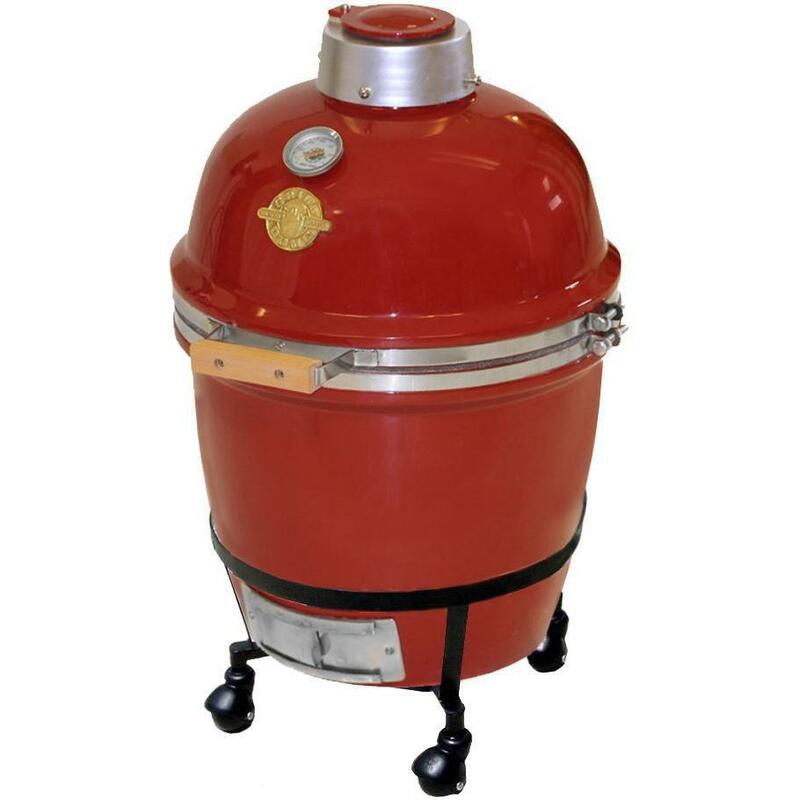 Made with heavy ceramic and utilizing a fireproof fabric seal, the Cal Flame Kamado Smoker excels at cooking moist, smoky, flavorful food. 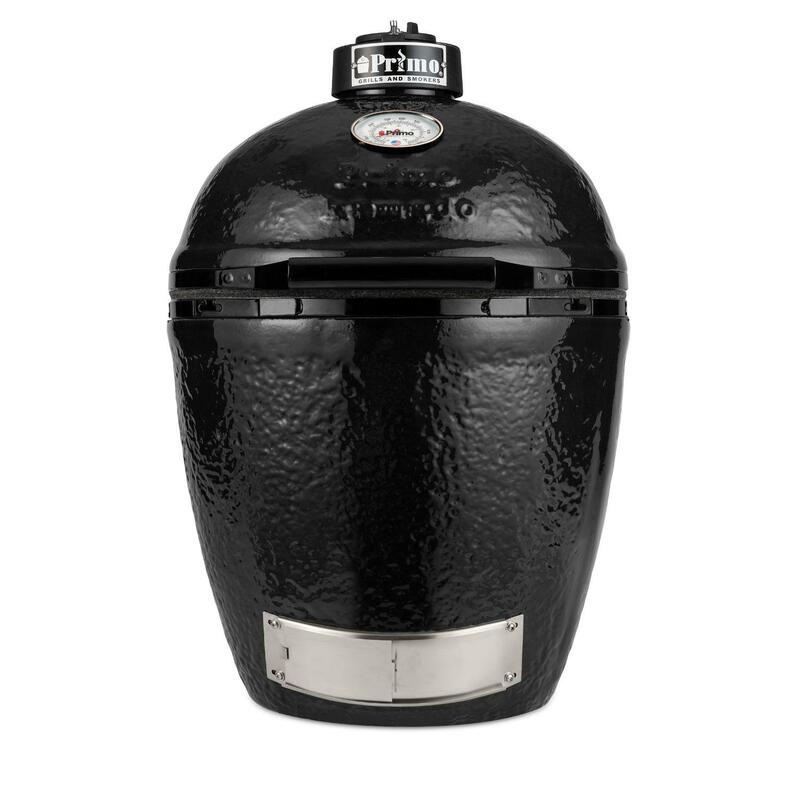 A dual-vent airflow system allows for precise control of cooking temperatures that can range from a smoking low, to a steak-searing high, maintaining high temperatures for hours with the vents closed and requiring less fire tending than traditional smokers. 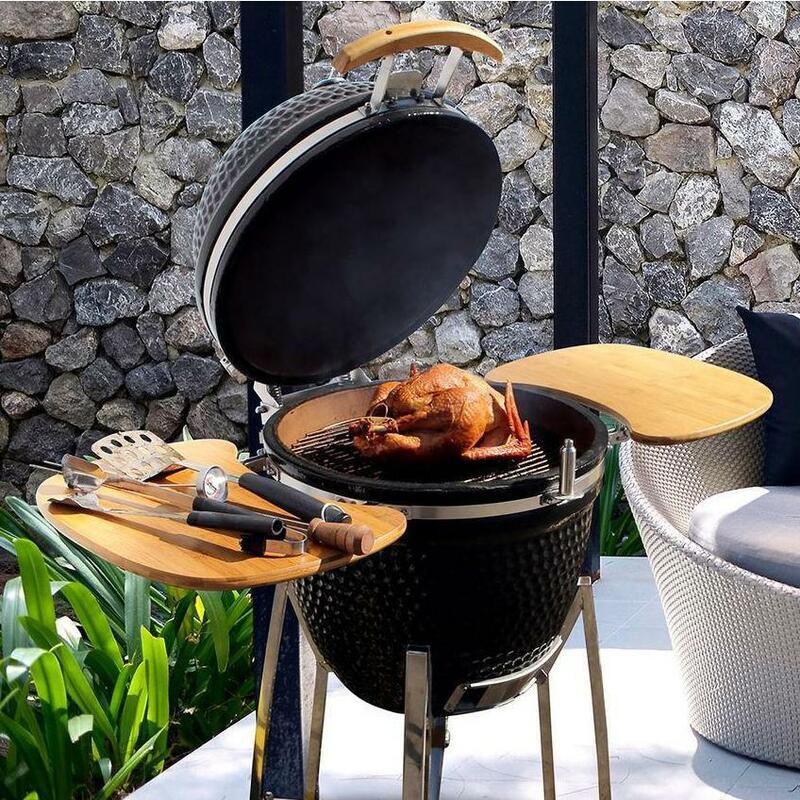 Ceramic heat deflectors allow for excellent heat distribution, absorbing and refracting heat for even cooking so you can bake or smoke without hot spots. 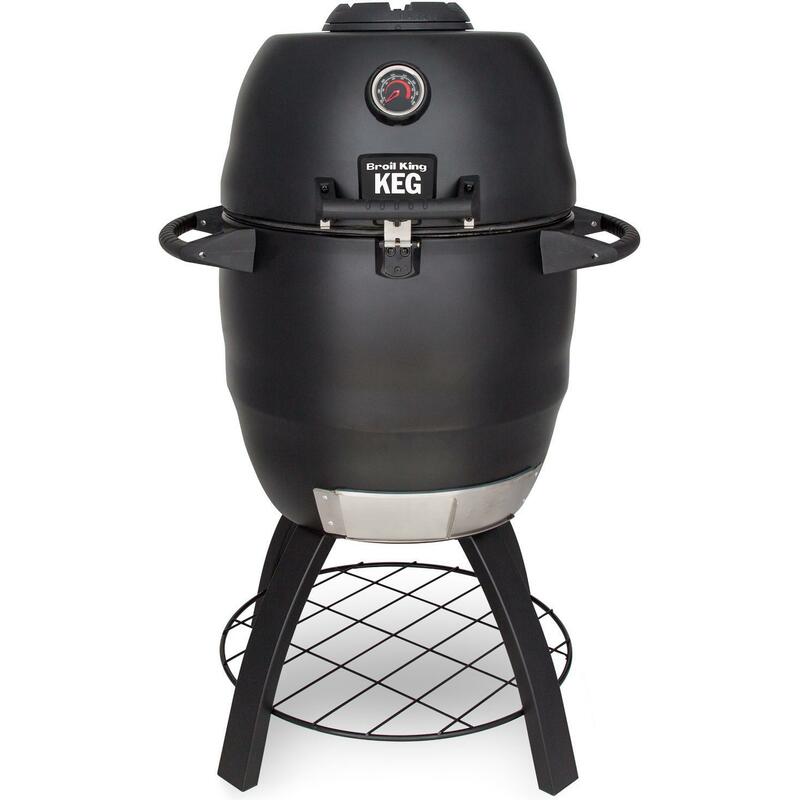 With a 21-inch cooking surface and two built in bamboo side shelves, this smoker is great for grilling, smoking, and baking perfectly cooked meals for family and guests with ease. 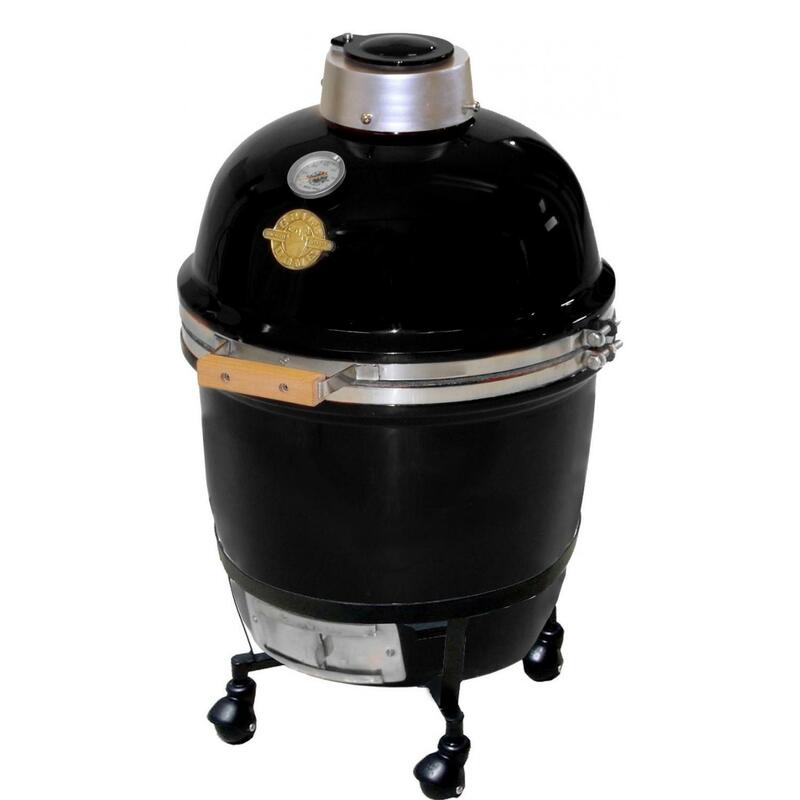 With solid components that are built to last and versatility to fit a wide variety of cooking styles, the Cal Flame Kamado Smoker makes the perfect center to any outdoor kitchen. 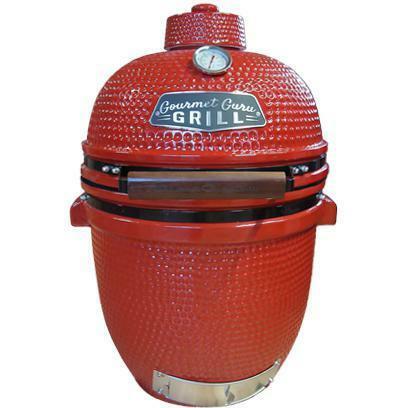 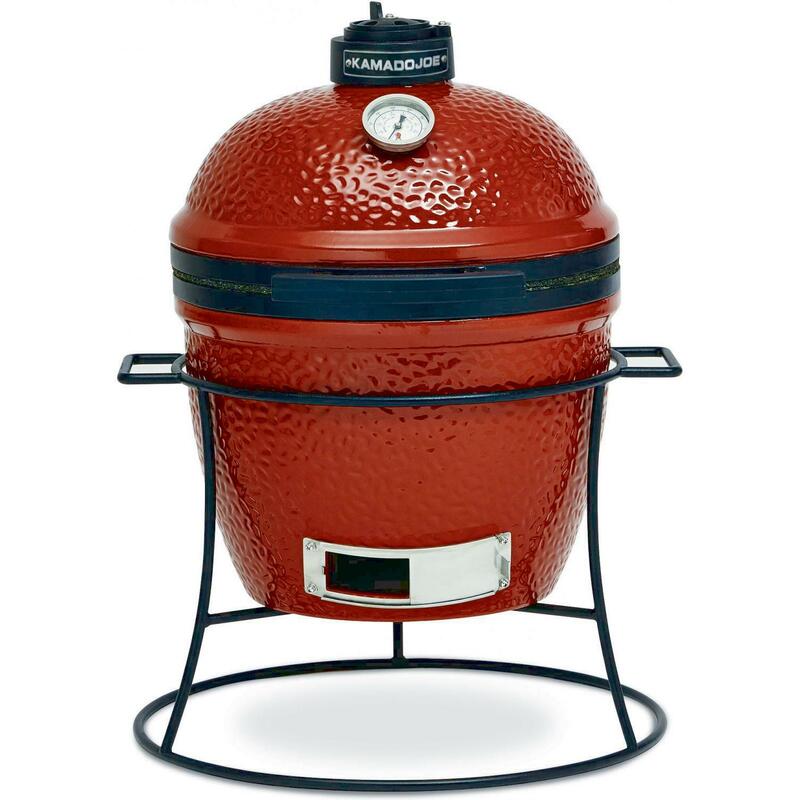 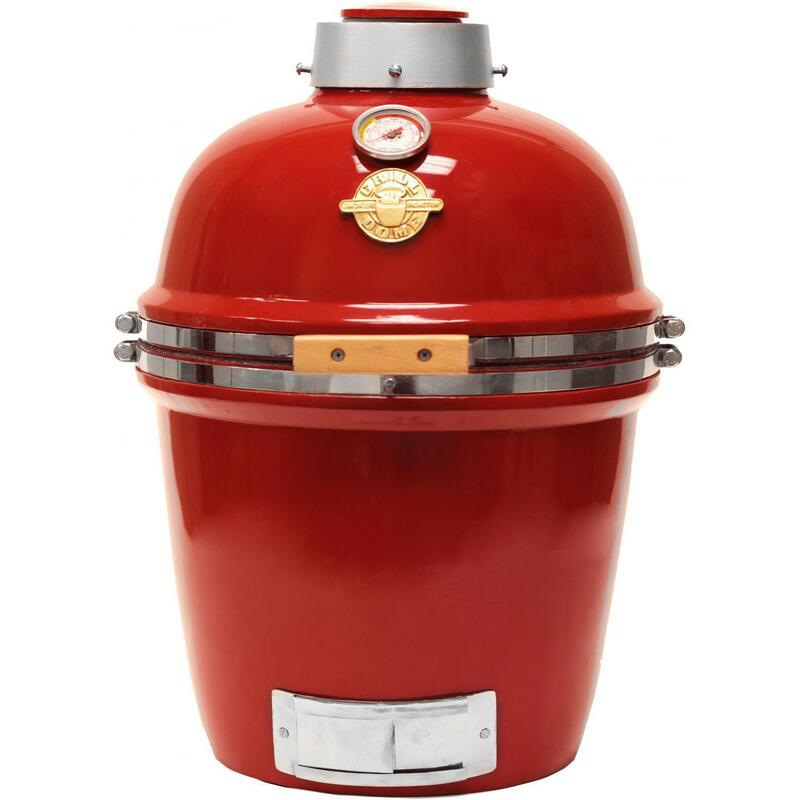 The Cal Flame Kamado Smoker includes a premium 21-inch ceramic grill, a stainless steel cart with locking wheels, a built-in thermometer, ceramic heat deflectors, two folding bamboo side shelves, a sturdy lid handle, a 304 stainless steel grill grate, and an ash drawer.